Fictional Character: Why do we like them so much? Today was a “dress as your favourite character” sprit day at Y.I.S. In English, we looked at what it is about our favourite characters that makes us like them so much. I’ve chosen Kaneki Ken from Tokyo Ghoul to examine. I like Kaneki because he is a rare unique, and special ghoul. Commonly, ghouls have 2 red eyes. But Kaneki has only on red eye. That enables him to live 2 lifes in both worlds. In day time, he goes to school as Kaneki Ken. But at night, he fights as the ghoul named Gantai (eye patch). 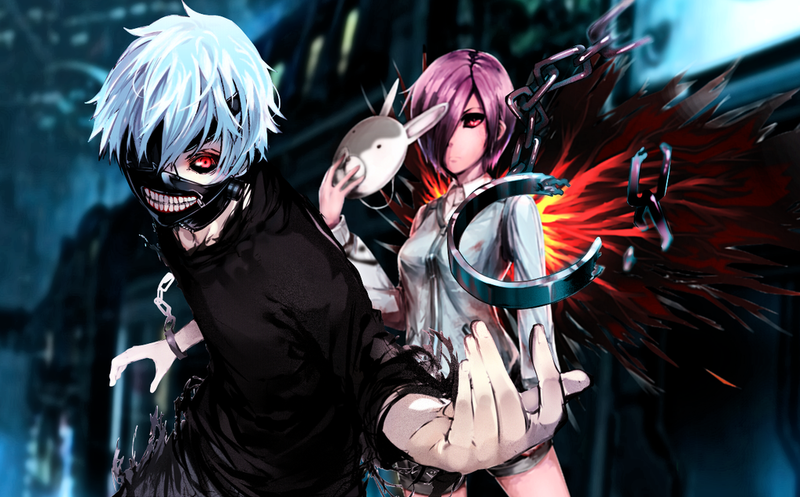 Kaneki Ken is characterise as a specially kind ghoul through his reluctant action. For example, when he fights Amon (the antagonist), he said that he would avoid that battle if possible, because he dose not want to harm anyone. But eventually he reluctantly fought that battle. This is a good example of the author showing you the identity of characters, through his action. Not just telling but showing you. Relationship between texts and the real world. Have you ever wondered how the real world that we live in, relates to the books that you read? Well you are about to find out. In this unit in English class we searched for the best way to learn about the real world. Do we learn better by reading fictional texts, of factual texts? We also learnt about Apartheid in South Africa. Just recently we watched the movie Invictus. Before that we read a historical historical fiction book call Journey to Jo’burg. But the very first thing we studied were feature articles about colonialism in South Africa, and we also wrote our own article. In the beginning of the unit, we start off by studying factual feature articles that is focused on colonialism in South Africa. A feature article has strong evidence and detailed conceptual information. It includes different option, for example quotes and anecdotes. And also the subjectivities of the text are clearly shown and indicated in a feature article. I found out that feature article is really strong and powerful at being a proof. Because knowing that these event actually happened, could cause a shocking effect. During the time when I was researching about the “pass” law in South Africa, I felt empathy to the black people. Because in the old days they had to carry their passes all the time, and it you for got, the police would take you to prison. The blacks were treated very poorly back then in the old days. Following the feature article, we then read a historical fiction book called Journey to Jo’burg. Historical fictions are fantasy stories based on true events and had happened. For example, this book have fictional characters, settings and plot but they were all based on true events. Naledi and Tiro are not real, but someone had actually journeyed far away to meet their parents. From this book I learnt that Apartheid had separated many families, because parents in the family must work far away in cities. Also, I learnt that there were children who actually journeyed miles to find their parents. My emotions when reading this book was different from reading other texts, like factual feature articles. My emotions weren’t individual, but they were shared with the characters in the book. For example when Dineo, Naledi and Tiro’s little sister was sick, I felt frustration just like Naledi did. Finally, we watched a movie called Invictus to wrap up the unit. This movie have real characters, settings and plot, but it also includes some fictional events and characters. For example in the movie, a plane actually flew over the stadium cheering for springboks, but movie made up the part where the guards were alert and trying to protect Nelson from the plane. By watching Invictus, I learnt that a country can be brought together and united through a sport. For example in the movie, Nelson Mandela spent lots of times and effort to help the springbok to win the rugby world cup. Because when something is world wide, when it is countries competing with other countries, your nation really comes together and unite as one. It didn’t matter if you were white or black, people all cheered for the springbok. After watching the movie, I was really surprised by how Nelson Mandela could unite a country using rugby. To concluded, I think the relationship between text and real world is that texts are based on the real world. Just like how fictional stories are people imaginations based on the fact that they have seen, heard or felt. The way fictional texts communicate with us about the real world have to advantage of allowing us to empathise. We can share the feelings and emotions with the character in the story. The advantage of how factual articles communicate to us is that it has strong and powerful factual informations. The direct communication will help you be well informed well when reading factual texts. The author Beverley Naidoo used very vivid and descriptive language to make scenes in the book visualised. In chapter six of the book “Journey to Jo’burg”, there was a vivid description of the rush- hour in Soweto train station. Here’s a quote from that paragraph: “There was no sitting space and they felt as if all of their breath is being squeezed out of them. Grown up bodies pressed down from above and all around them. Somebody laughed, some swore and some kept silence, as the train shook and lurched away”(50). The way that the author described this part is that she used exaggeration and overdraw to express that feeling being crushed to the audience. For example she said Naledi and Tiro’s breath were being “squeezed” out of them.The figurative language make us feel and image the pain of being squashed. I could make a connect from that text that I just quoted before to myself whenever I read it, because I’ve been through the Japanese train rush- hour. I could imagine and picture myself in that situation just like Naledi and Tiro from the book being squashed to death by the adults all around me. And plus that I have actually experienced it. So whenever I read it, it reminds me of the time when I was in the rush- hour and we share the feeling of between squeezed. I could share the feeling with the character in the book. After reading the book “Journey to Jo’burg”, I wondered why is Grace’s brother Dumi was not included in the book. There was a part in the novel where Grace talks about Dumi, but he didn’t personally appear in the story. I think the author was trying to leave some space for us to use our creativity and imagination perhaps, just like she didn’t mention what happen to Dineo at the end. Or perhaps it was just a coincident that the author didn’t want him to appear in the book. I think that the main idea or the underlying messages of this book is that education is really important. This idea was communicated to us and the very end of the book. At night, Naledi thought: “They didn’t want to learn to be servant… Especially in her own village, she could even look after her own family” (86 & 87). If you just learnt how to be a servant and how to cook in school, black people will never be able to fight back their rights and equality. They have to unite and use knowledge to fight against whites not with violence. And with knowledge, they could help each other. After reading this book, I think that this text is very powerful. Now I understand why it was banned in Africa. Because the book clearly tells you how the blacks were treated back in the old days. And it’s teaching you about the revolution of education in school, you cannot be equal with your “master” when you’re learn about being a servant. And the white people didn’t want that because this single book, has the power of starting a revolution. Point Blank is a book by Anthony Horoworz, it’s a story about a teenage boy hired by MI6 as an agent to fight evil enemies. After a intense and dangerous adventure, he saves the day. I think the connection of this book to my self is that the character had to go to France on a mission, to investigate a case. Just like me, I had to go to Japan to study. He had to learn french in order to survive the trip, and I had to learn ore English in order to go to a international school. 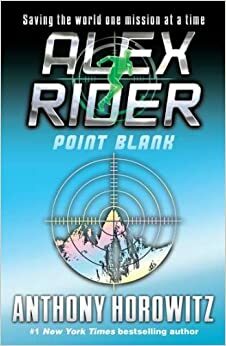 The Alex Rider series is one of the many book series of Anthony Horowitz. This book’s connection to one of his Gatekeeper’s series is call Evil Star. Because Alex traveled far away to France to fight crime, also Matt from the Evil Star went all the way to Lima in Peru to and fought with his enemy. I think the connect of this book Point Blank to the whole world is that lots of people make movies and comic books about heroic person. About people saving the day. There are lots of other ideas and production of heroes. My expression to the play “Two Weeks with the Queen” is comic, yet tragic. Because this play has lots of humorous parts for example and the end, when Alistair gets really angry, his speech was very funny. But alimentally, it’s a emotive play because Griff died, and Luke is going die eventually. Also, I think this play is pretty meaningful as well. Because through out all those troubles, Colin has matured a lot, and Alistair had pulled his self back together from a sick kid. What I’ve learnt about perspective from the play “Two Weeks with the Queen” is people have different perspectives, like Colin’s parents thinks that cancer is a terrible thing, but the naive kid, Colin, is not scared of that. If people don’t have different perspectives, this world is gonna be really boring. Also, in the beginning of the play, Colin didn’t show much empathy to his parent, he didn’t understand that cancer could kill Luke. But in the end, Colin realized that he needs to spend the precious time with Luke. J’ai cinquante euros et je voudrais acheter des fournitures scolaires à Top Office. Pour le français, je voudrais acheter des ciseaux. C’est un euro quatre-vingt-dix-neuf. Pour le math, je voudrais acheter une calculatrice. C’est quatorze euro quarante neuf. Pour les arts plastiques, je voudrais acheter un bâton de colle. C’est deux euro cinquante neuf. Pour les arts plastiques, je voudrais acheter une ruban adhésif. C’est un euro quarante neuf. Pour l anglais, je voudrais acheter trousse. C’est un euro vingt neuf. Le total, vingt et un euro quatre-vingt-cinq. Hello guys, we have now started a brand new unit in English class which is FILM STADY! In today’s lesson we practiced taking some pictures with different angles. Here’s what our group did. A High angle shot is usually taken from below the subject. A worm eye view is used to show how powerful and strong the person is. A extreme close up shot is usually taken by zooming the camera instead of put the camera right in front of the subject. The effect of this type of angle shot is that you can show the key detail in the movie. A high angle shot is usually taken from above the subject. This type of angle shots can be used to show your subject’s weakness unlike the low angle shots. I really look forwards to the films that we will be study on. Why Do We Tell Myth? Why do we tell myth? Well first of all what is a myth. I think a myth is traditional story that explain some natural environment. Those stories are usually not true but people believe in it. Also, it’s different from mythology. If you want to know more, click the link. The LINK. And this LINK to see some examples. People do things for a reason. Don’t tell me you don’t! Same as people telling myths. So why do people tell myths? I think the reason why people tell mythes is because like what I mentioned above, they want to explain some natural environment for example why is there rain, and why the sky is so high up? This myth is explaining how our planet earth is created. You can see them from the later part of the story where it said “After the egg was broken……..”, which talked about how the sky and land was created. And explained why and how we have the sun, the moon, the rivers…, you can see it from “After he died………” I think there’s some more reasons why we tell myths, like the myths that has morals which teaches people things. What do you think? Category: English | 2 Comments on Why Do We Tell Myth? Hi, guys. For our English class theses weeks, we’ve been working on our own podcast book review. I’ll be reviewing the book A tale dark and Grimm by Adam Gidwitz. Hope you enjoy.